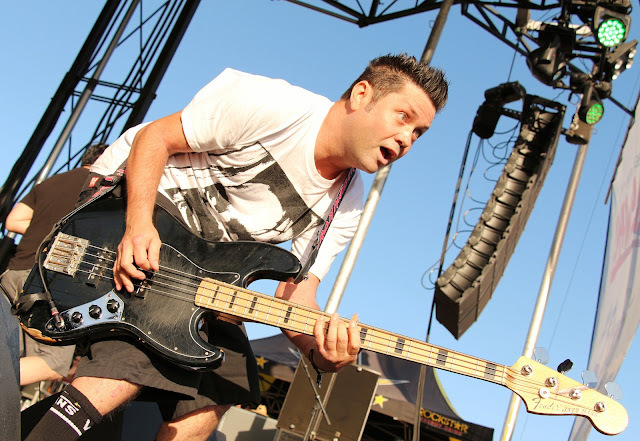 [Huntington Beach, Calif.] - KLOS, Fat Mike, & P.I.D. 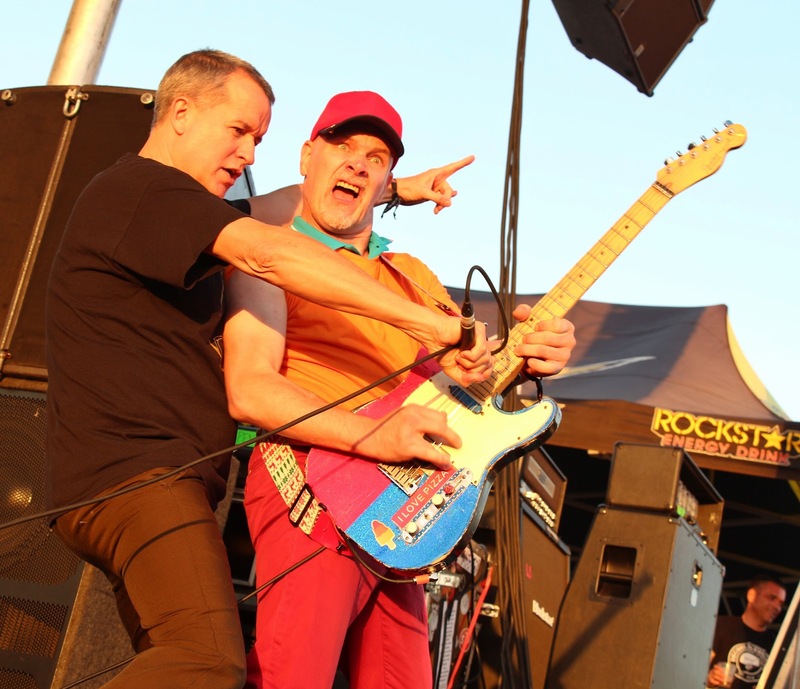 Present Punk ‘N Brew Craft Beer & Music Festival will bring the best in craft beer, food, and live music to SeaLegs Live at Bolsa Chica State Beach in Huntington Beach, CA on Saturday, October 28. As part of the Punk in Drublic Craft Beer & Music Festival series, Punk ‘N Brew offers craft beer enthusiasts the opportunity to enjoy quality craft beer from over 100 brews, gourmet food trucks and restaurant vendors, performances from NOFX, Bad Religion, Goldfinger, Strung Out, Guttermouth, Ignite, The Dickies, D.I., and more. Tickets are on sale on now at PunkNBrew.com. 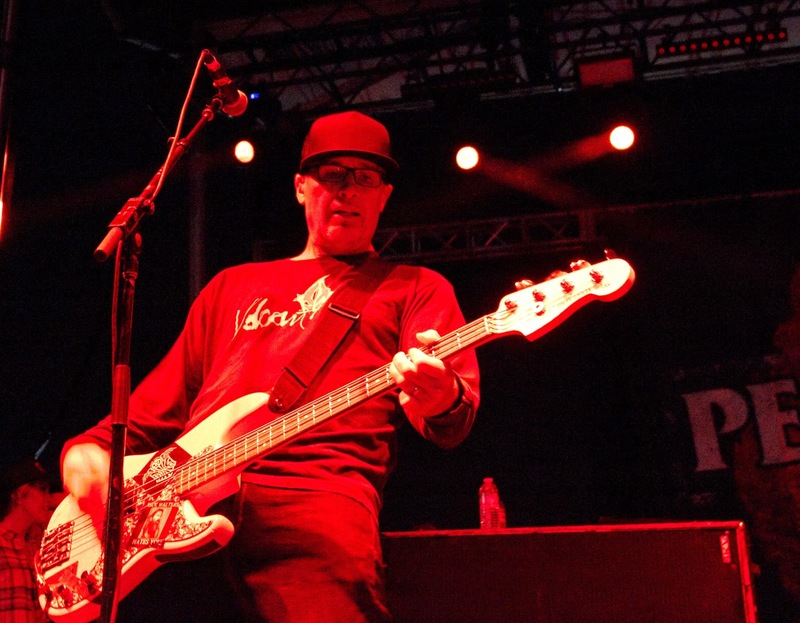 The Punk ‘N Brew Craft Beer & Music Festival highlights the rapidly growing craft beer scene in the West Coast with unlimited tastings from an impressive list of breweries that includes AleSmith Brewing, Modern Times, Stone Brewing Co., STEREO Brewing Company, Artifex, 2 Towns Cider, and many more. Attendees will also have the chance to sample the highly-acclaimed Stone & NOFX Punk in Drublic Hoppy Lager, created by Fat Mike and craft beer pioneers Stone Brewing. The special lager is only available in cans in the festival markets. 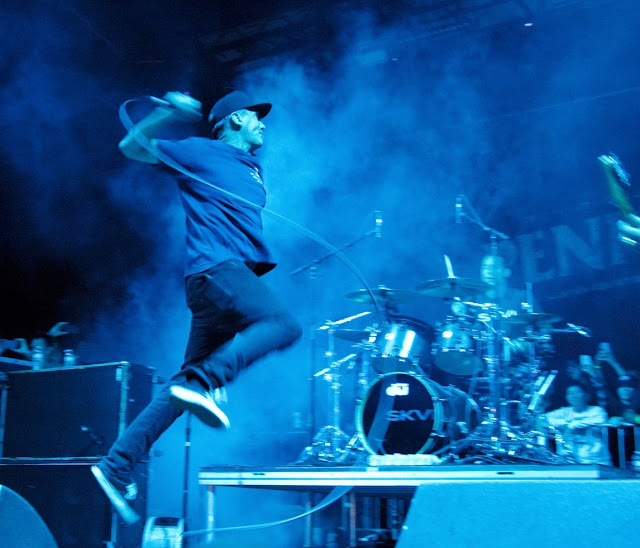 Excite your taste buds with over 25 of Punk ‘N Brew’s mouth-watering food items provided by PRJKT Concessions and elevated food offerings from SeaLegs at the Beach. Whether you are a beer enthusiast or a foodie fan, attendees will indulge on bites of their favorite comfort foods including hand-made pizza and Korean street style tacos. A sizzlin’ 70’ custom BBQ and smoker will add some finger lickin’ fun with tasty BBQ items including Texas slow-smoked hickory brisket (smoked for 12 hours), pulled pork, and crispy turkey legs. Satisfy your sweet tooth with one-of-a-kind specialized unicorn milk shakes and cake slices. 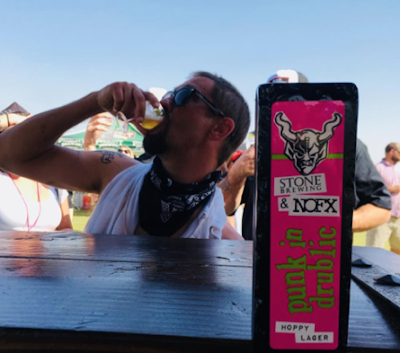 The craft beer samplings will take center stage at the Punk ‘N Brew fest till 4pm, followed by performances from co-headliners NOFX and Bad Religion, along with Goldfinger, Strung Out, Ignite, The Dickies, D.I., and more all night long. Tickets for Punk ‘N Brew Craft Beer & Music Festival start at $69 + fee for General Admission. The VIP SeaLegs Live Lounge and VIP tickets for Punk ‘N Brew are sold out. Saturday October 21st marked the return of one of my favorite events, Ye Scallywag, an all day fest featuring beer, food, and punk rock music. 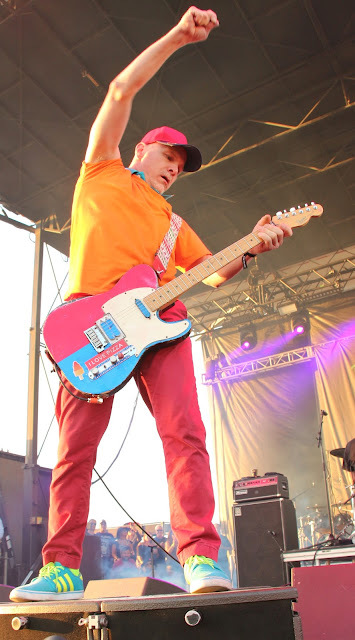 Whenever an event is a huge success, it leaves one to wonder, will it be just as awesome the next time? Ye Scallywag's second year definitely did not disappoint. 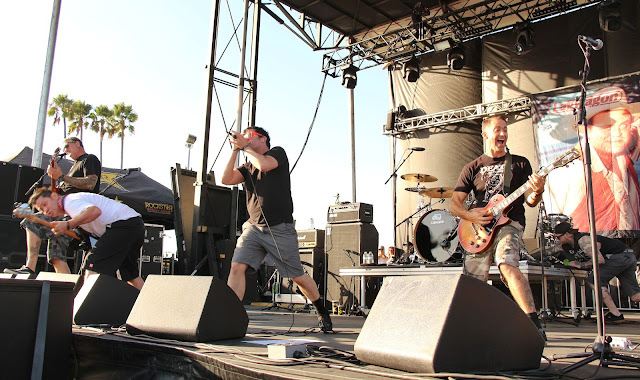 Held again at the picture perfect Waterfront Park, located adjacent to the San Diego Bay, the idyllic setting was a perfect backdrop to a fun-filled afternoon. 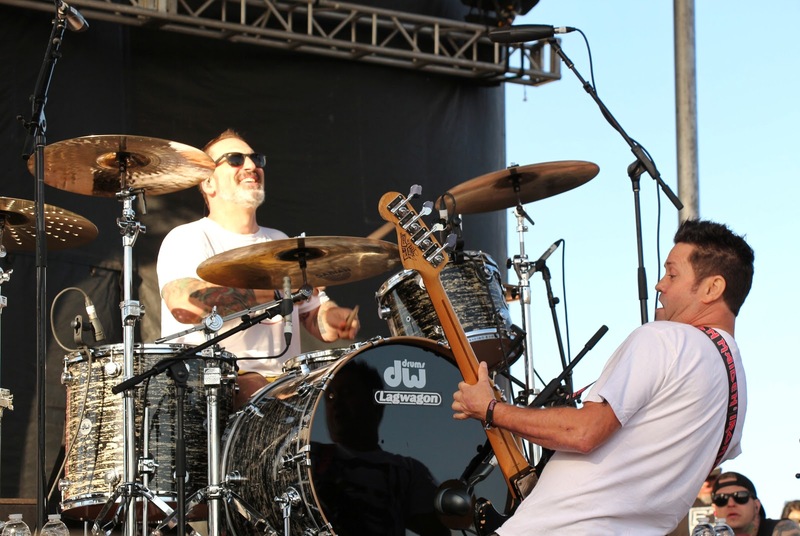 Over the course of the afternoon, into the evening, an epic lineup of rad musicians took the stage in front of festival attendees. 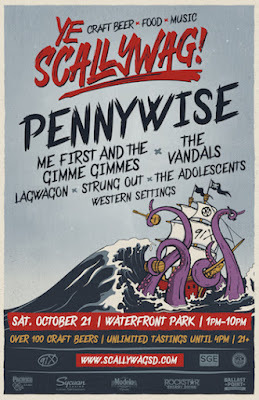 This year's lineup at Ye Scallywag included Western Settings, the Adolescents, Strung Out, Lagwagon, the Vandals, Me First and the Gimme Gimmes, along with Pennywise. 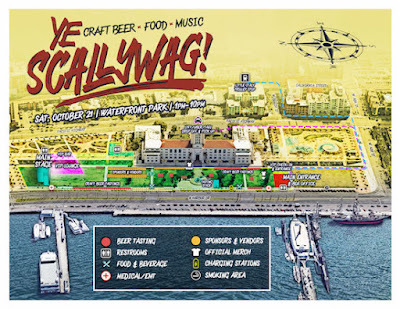 Along with an outstanding lineup of music, setting, and venue, once again this year, there was a fantastic selection of beers and food to choose from throughout Ye Scallywag. 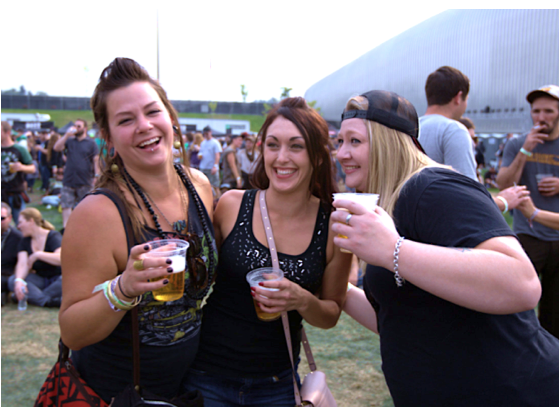 While having a large selection of beers to choose from is always a good thing, the lineup of music was just as great, and probably the main reason most people chose to attend the fest. 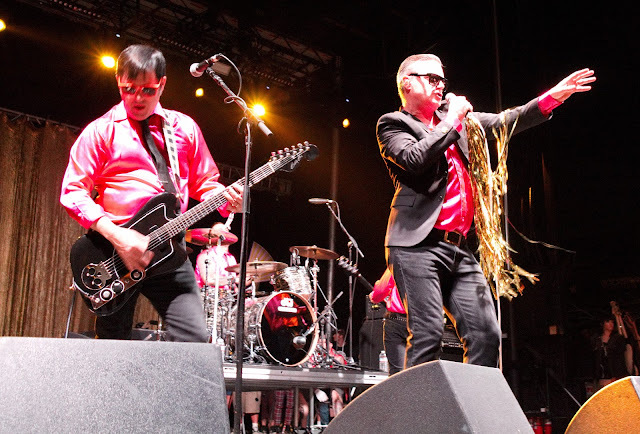 Thanks to Synergy Global Entertainment (SGE), Brew Ha Ha Productions, and my favorite radio station, 91X for putting together another epic event. I'm already excited for next year's Ye Scallywag! 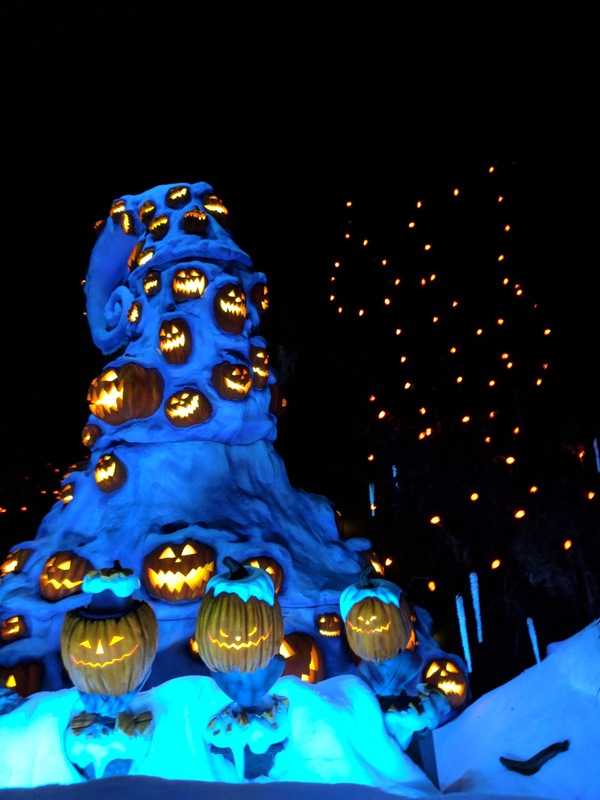 Disneyland and Halloween are two of my favorite things. 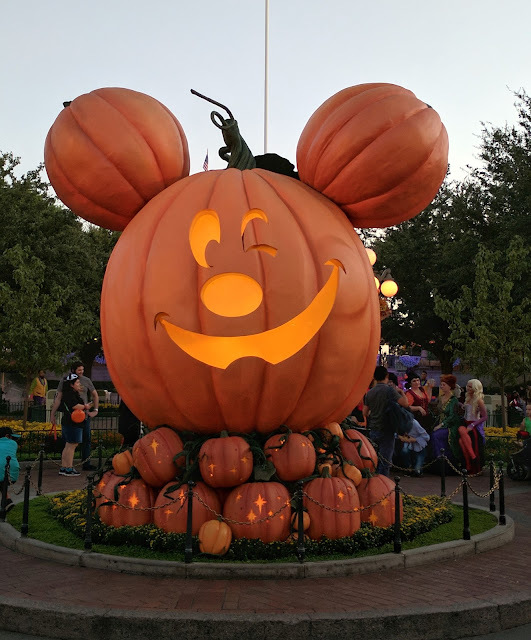 Visiting Disneyland during Halloweentime is always something I look forward to each year. This year, I decided to attend one of the special ticketed Mickey's Halloween Parties. I've always been a bit reluctant to attend, because as a Disneyland Annual Passholder, I already pay a nice sum of money each month to have the opportunity to visit the Happiest Place on Earth. Why would I want to purchase a separate ticket for an after hours event? Well, for starters, they have special Halloween themed fireworks. 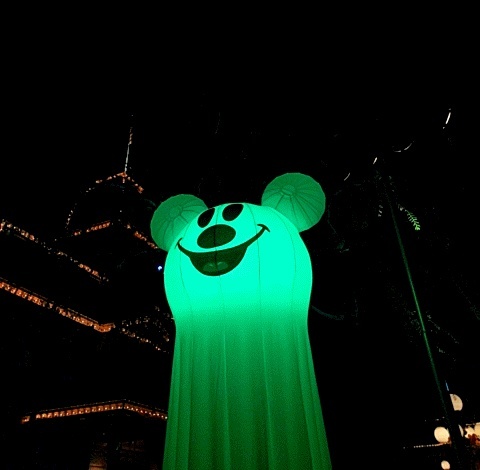 Back in 2009, before Disneyland offered the Mickey's Halloween Party, for a very brief period of time, the Halloween themed fireworks were able to be seen by those in attendance during regular admission times. 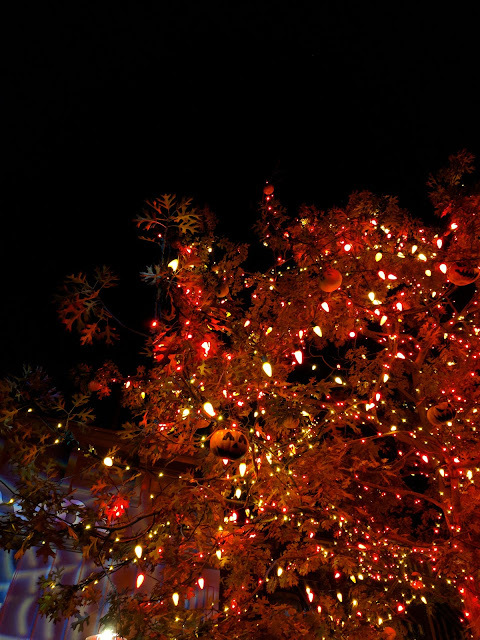 Since 2010, though, the Halloween Screams fireworks are only able to be viewed during Mickey's Halloween Parties. 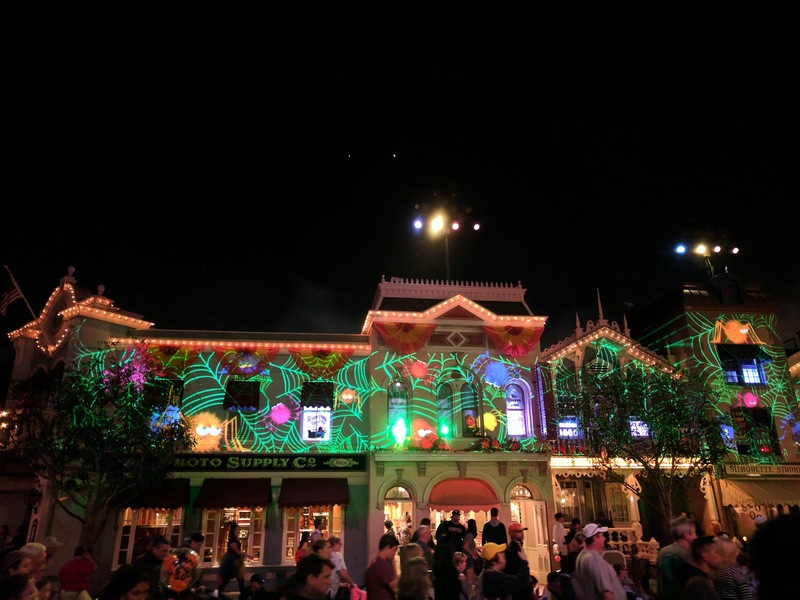 Spooky Halloween projections on buildings on Main Street U.S.A. When first entering the event, it was quite crowded with non-party attendees as well as party attendees near the front entrance to Disneyland. For guests attending Mickey's Halloween Party, they are able to arrive before the actual start time to the party, which is nice for those who are not frequent visitors to Disneyland. Each party attendee receives a tiny bag to hold candy, although you can also bring one from home if you'd like to try to get your money's worth of candy. The decorations and Halloween themed music are a nice enhancement to the regular Halloweentime decorations throughout Disneyland. The treat stations are located in various areas throughout different lands in Disneyland. We visited the treat stations on Main Street USA, the Golden Horseshoe, the Rivers of America, as well as those located near the Hungry Bear restaurant. 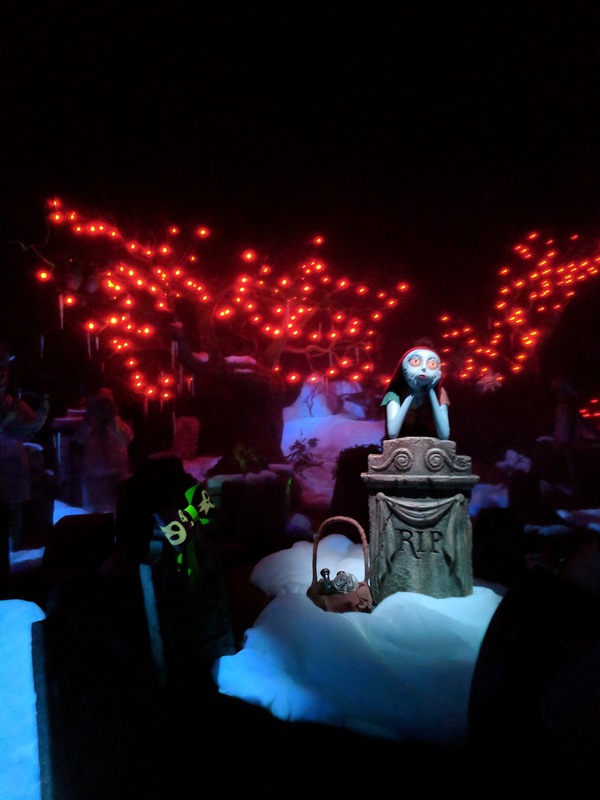 I think the only way you would be able to visit all of the treat stations were if you arrived early, although, I don't know how you would also manage to visit any of the attractions. The only attraction I wanted to visit while there for Mickey's Halloween Party was the Haunted Mansion Holiday. 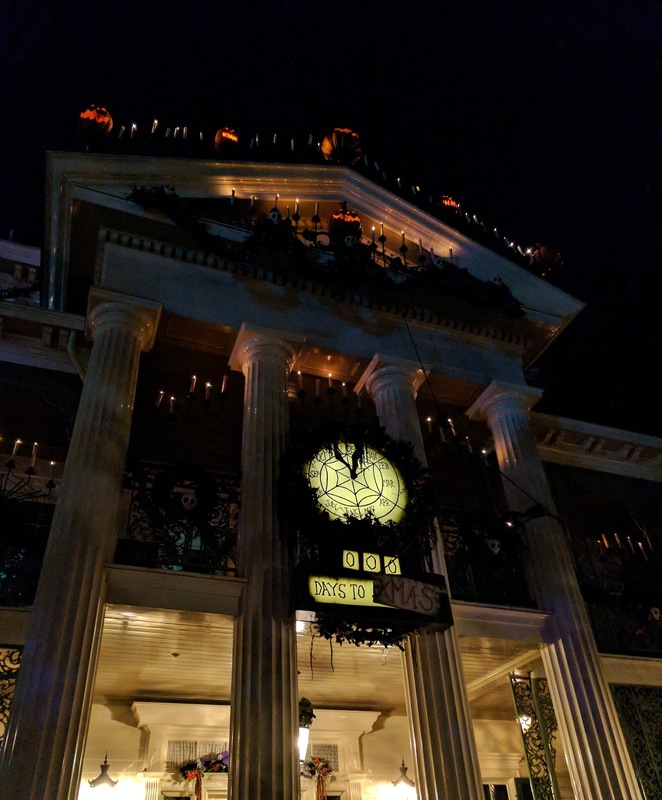 Although the Haunted Mansion has been decorated by Jack Skellington since September, the wait times whenever I have visited have been close to two hours. 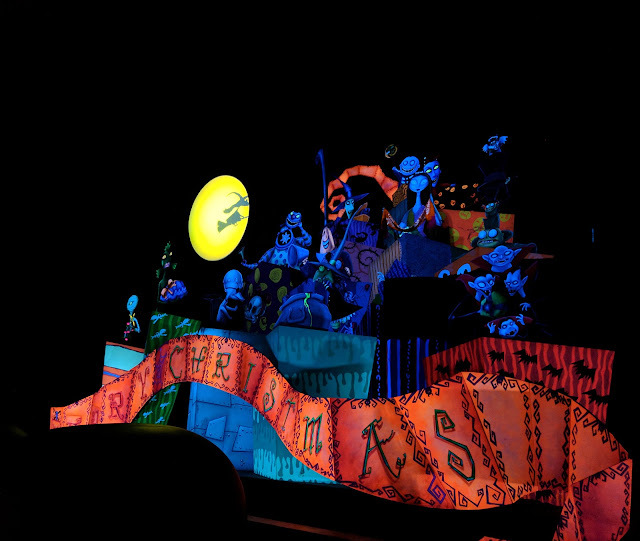 During Mickey's Halloween Party, we only had to wait for twenty minutes, which was a definite treat. 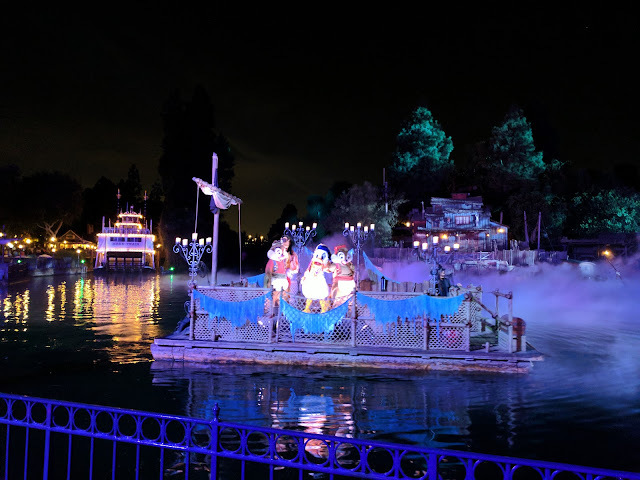 We had decided that viewing the earlier showing of the Frightfully Fun Parade, which runs both before and after the Halloween Screams fireworks, would make the most sense since I attended a party on a Tuesday night. I wasn't quite sure where the best view of the parade would be, and decided on trying to view it from the left side of the castle. Our view of the fireworks was okay, I could see some of the castle projections, but not all of them. I really liked the Halloween Screams fireworks. I just didn't like how it was a bit disorganized for where to sit and/or stand for the fireworks. Which leaves me with the question, was it worth it to attend Mickey's Halloween Party? Will I attend Mickey's Halloween Party in the future? I really don't think the price of the ticket was worth all of the offerings of the party. I also felt that the fireworks viewing area could have been better organized. But, I love Halloweentime at Disneyland. So, I imagine, in a few years, I will be back for another Mickey's Halloween Party. If I do go again, though, I will make sure to purchase tickets for a Friday night rather than a Tuesday evening. I am SO excited for the return of Ye Scallywag!, a day-long craft beer, food, and music festival, which will take place on Saturday October, 21st. 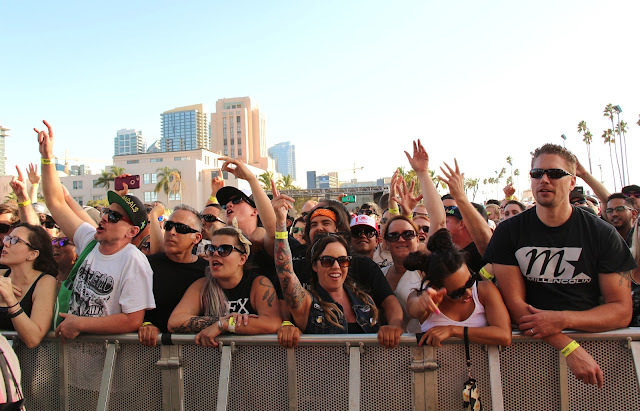 Just like last year, this epic event will take place at the scenic Waterfront Park in San Diego, CA. Produced by premier music festival production company Synergy Global Entertainment (SGE), and Orange County California's most successful and respected craft beer producer, Brew Ha Ha Productions, the day-long festival will showcase over 100 craft beers, along with a full day of punk rock music with performances by Pennywise, Me First And The Gimme Gimmes, The Vandals, Lagwagon, Strung Out, The Adolescents, and Western Settings. 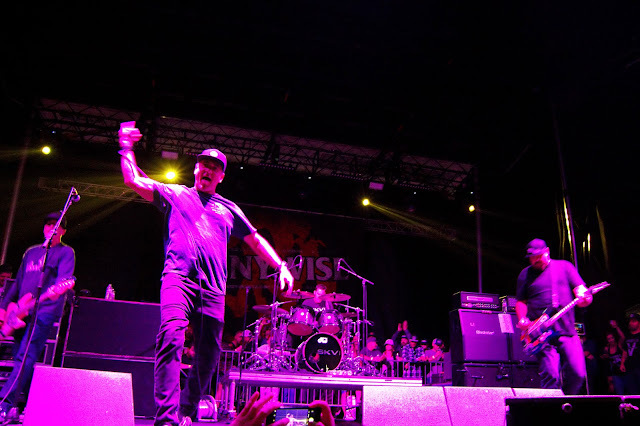 Check out my recap for last year's event here. 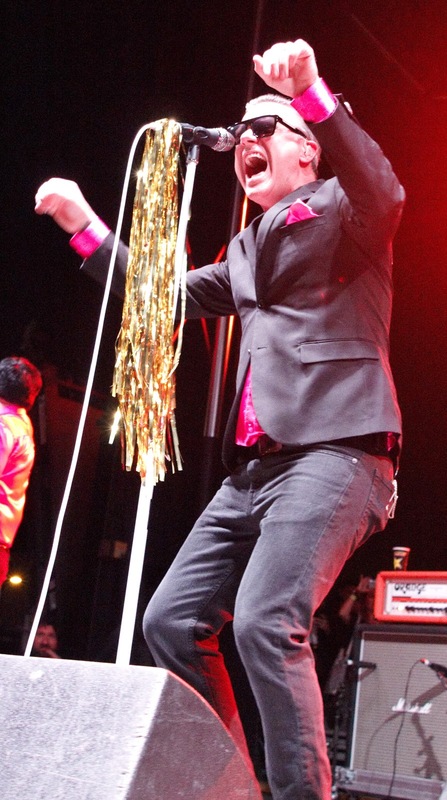 Fat Mike of NOFX with Bad Religion, one of my favorite parts of last year's Ye Scallywag! During VIP and early entry tastings (from 12:00 p.m.-4:00 p.m.), and general admission tastings (from 1:00 p.m.-4:00 p.m.), Ye Scallywag! attendees will enjoy unlimited craft beer samples from top California breweries. Local artisan food trucks and pop-up restaurants will also be on site selling a variety of delicious and unique food options throughout the day and evening. Craft beer and other tasty libations will be available for purchase at concessions stands as well. Tickets are reasonably priced for a rad day of beer and music in such an awesome location. Includes 1 VIP admission ticket to Ye Scallywag! ; VIP Entry Lane; and access to the Ye Scallywag! VIP Lounge which inclues: early entry at 12:00 p.m. for beer tastings, exclusive tastings in VIP Lounge, VIP viewing from the Lounge, VIP cash bar, and private restrooms. Includes 1 VIP admission ticket to Ye Scallywag! ; access to side of stage viewing platform on the Main Stage; VIP Entry Lane; and access to Ye Scallywag! VIP Lounge, which includes early entry at 12:00 p.m. for beer tastings, exclusive tastings in VIP Lounge, VIP viewing from the Lounge, VIP cash bar, and private restrooms. Waterfront Park is located at 1600 Pacific Highway in San Diego, near North San Diego Bay. Ye Scallywag! will have a convenient drop off area for ride sharing and taxis, and the Green Line to San Diego's Santa Fe Depot train station is just three blocks from Waterfront Park. Ye Scallywag! media partners and sponsors include San Diego's leading alternative radio station 91X, Pacifico, Sycuan Casino, Modelo, Rockstar Energy Drink, Ballast Point, and more.